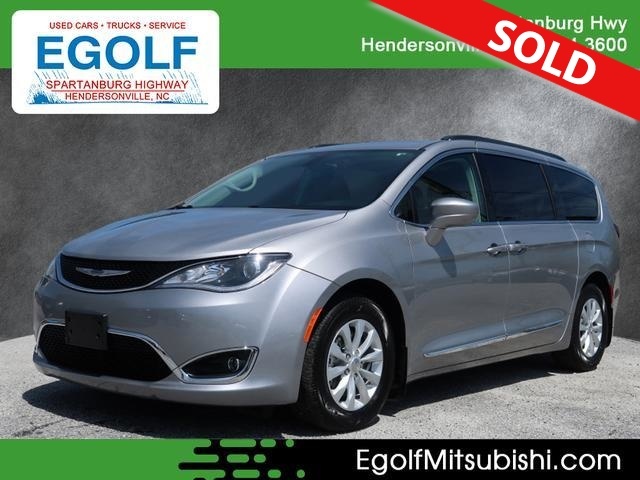 2017 CHRYSLER PACIFICA TOURING L, ONE OWNER, LOCAL TRADE, ONLY 17K MILES, HEATED LEATHER INTERIOR, POWER REAR LIFTGATE, ORIGINAL NEW MSRP WAS $36,840.00 AND MUCH MORE. PLEASE CONTACT EGOLF MITSUBISHI SALES AND SERVICE @ 828-694-3600 FOR MORE INFORMATION AND TO SCHEDULE YOUR TEST DRIVE TODAY @ 1325 SPARTANBURG HIGHWAY, HENDERSONVILLE NC 28792. FINANCING AVAILABLE FOR ALL CREDIT TYPES! !.